I enjoy celebrating my birthday. I am not one to wait for other people to plan stuff for me. When I turned 16, I spent the entire day by myself at the mall. My parents gave me birthday money and the keys to my mom's orange Ford Aerostar van. EVERYBODY in high school knew my mom's van because I was always driving it and all of my friends were piled in it, even on our weekend cruising adventures. The celebration of my birthday, like many people, is usually a day spent partying and having a good time. 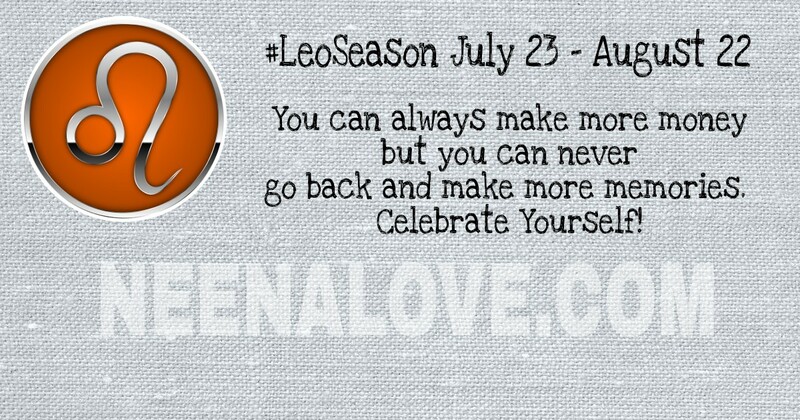 I used to celebrate 'the day' then it turned into celebrating birthday week and now has extended to the entire Leo Season. This means that I celebrate from July 23rd to August 22nd even though my birthday is August 4th. I make it a point to be a little selfish and do whatever I feel like doing. Celebrating for an entire month takes some planning but for the most part, I wing most of it. I don't worry about the money I spend on myself because I deserve it. I deserve to spoil myself. I worry about the money part later. You can always make more money but you can never go back and make more memories. When people would ask me what I want for my birthday, I say the same thing. I like homemade stuff like chocolate chip cookies or banana bread. I also like earrings and ANYTHING with hearts on it or LOVE on it. I like smell good stuff like Scentsy stuff or Bath & Body Works home fragrances and candles. But my favorite thing? My favorite thing to get are handwritten cards and if they're accompanied with flowers -- even better! But if you are just itching to gift me something from Amazon, here is my current WISH LIST. Best Video Card I ever received. The ONLY video card I ever received. In a previous post, I touched on how I was raised to not value my physical beauty, that it was somehow bad to honor the reflection in the mirror. Also, kids are mean and can really mess with how a person views him or herself. I had to consciously overcome those feelings of insecurity in relation to my looks. In similar fashion, I have to overcome the "training" I received from my mother to SERVE everybody before myself. I watched her put everyone's needs above her own, which ultimately stole her health from her. I have had to find the balance between the wonderful values I was raised with and the ME that says that I need "ME" time. So celebrating myself during the month of my birth, Leo Season, is about me making time to do ME. It's my most favorite time of the year.